From the Nobel Prize–winning physicist who developed the famous uncertainty principle, Nuclear Physics provides an in-depth look at the study of the atom. The book was compiled from a series of Heisenberg’s lectures on the subject, and it is detailed and accessible enough for anyone interested in the subject. 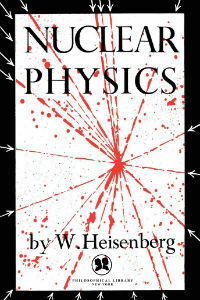 Heisenberg begins with a short history of atomic physics before delving into the theory of the processes and reactions within the atom. Nuclear Physics is an essential book to understanding the atom, giving readers an unparalleled look at nuclear physics from one of the greatest scientific minds of the twentieth century.